We are offering the incredible Rotosphere Q3 Pair effects on 1.5m podiums which will be supplied in white or black. 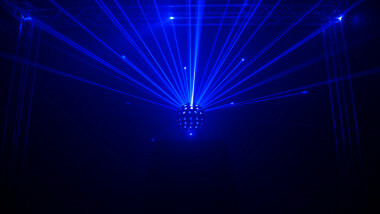 These are an easy to use mirror ball simulator with high-power, quad-colour LEDs. 3 LED zones emit up to 3 different colours simultaneously and the slow rotation speed creates a romantic atmosphere. 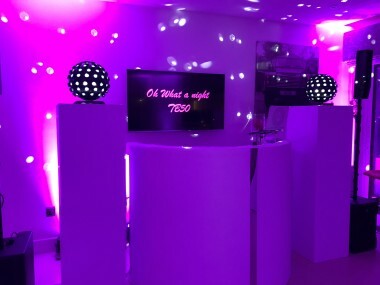 These can be used in stand alone mode or two units can be linked together creating a stunning Mirror Ball effect. These units are an upgrade from the older mirror ball effects. 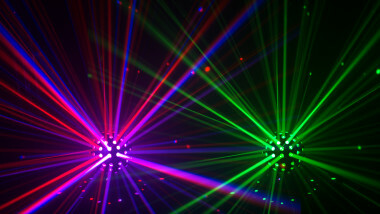 They are much brighter, more effective and look stunning. This Offer is only applicable if you are able to collect the equipment from us.